My name's Jordan and I love sharing my DeLorean! WHAT’S THE DEAL WITH YOUR DeLOREAN? 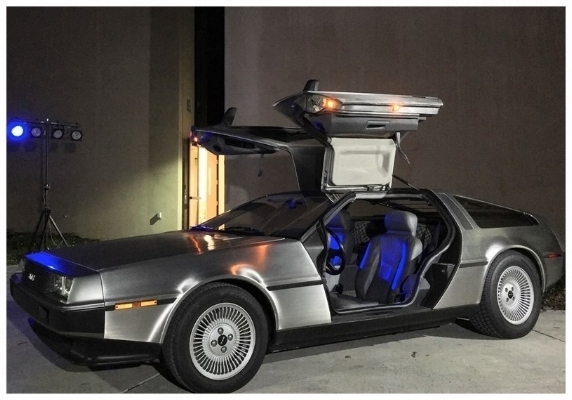 Mine's an original 1982 DeLorean DMC-12 with gray interior and automatic transmission. It’s one of the best looking, most reliable DeLoreans on the road. Just about everything is original! Where possible, the mechanics have been refurbished or updated to meet modern safety and reliability expectations. Rentals are negotiated on a case-by-case basis depending on your location as well as the nature and duration of the event. OKAY, BUT REALLY, HOW MUCH? There's also a $0.58c / mile charge from San Rafael, CA. A deposit equivalent to 50% of rental and a signed rental agreement are required at the time of booking. IS THIS A “BACK TO THE FUTURE” TIME MACHINE? No, this is a stock DeLorean DMC-12 looking just as it did off the assembly line. In that sense, it’s a 'time machine' back to the 80s, but if you're looking for a “Back to the Future” prop replica, I'll be happy to point you in the right direction . . .